The Chippewa NGT - Next Generation Technology - Super Logger is loaded with features for the climbing lineman. This waterproof boot has 400 grams of 3M Thinsulate™, triple ribbed steel shanks built on a Goodyear® leather storm welt, composite safety toe, and the new Vibram® Street Warrior sole with TC4 overlay. These boots are handcrafted in the USA and laced with Kevlar® infused waxed laces. Meets ASTM F2413-11 and ASTM electrical hazard (EH) rated. 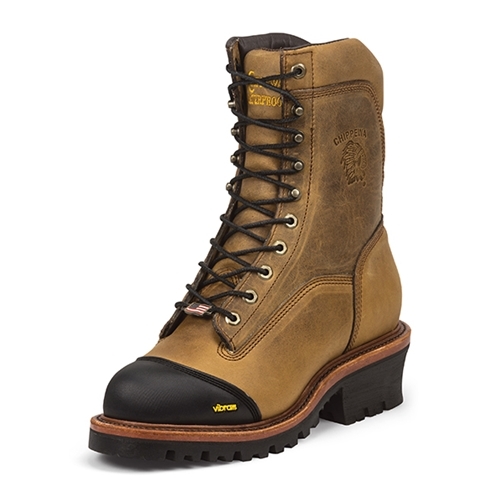 Chippewa NGT Super Logger Boot CLOSEOUT has a rating of 4.8 star based on 5 reviews.